A trend has reared its ugly head while I browsed CEO profiles on LinkedIn. Many of them looked blank or haven’t been updated in years. I’ve heard CEOs say they aren’t looking for a job so they don’t need a complete profile, but that shows a dated viewpoint. 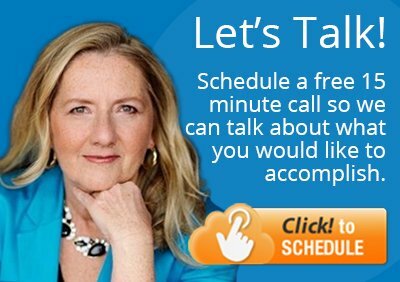 Partners, prospects and the media google you and come to your LinkedIn profile. A strong profile can lead to lucrative partnerships, new clients and speaking opportunities. 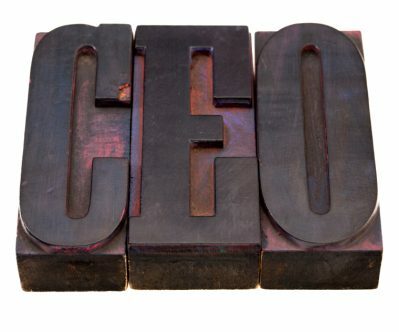 Here are some CEO profiles that set good examples for you to follow. Not all of them are perfect, but each has unique aspects that are compelling and effective. 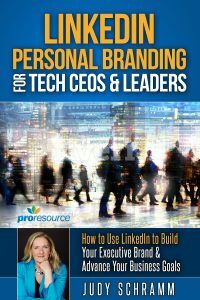 Discover the exact steps to create a great CEO profile. "CEOs: 8 Steps to Your Best LinkedIn Profile"
As CEO of two companies, Day uses his summary to introduce both companies and explain what they do. His summary is intriguing, beginning with “Do those who build great organizations think differently about technology?” He has 13 recommendations for his current role from a variety of people including consultants and two clients, one of which is a VP and the other is a CEO. Day lists recent honors and awards for his company and himself. Freedman has a quirky profile that gives you a good sense of his personality. His summary begins, “Only 2,000 characters & so little time. Is this mic on?” That’s an unusual introduction – one that provides a nice window into his personality. Freedman’s summary also covers what he’s looking for and lists several calls to action. Under “Advice for Contacting Marc,” he provides more helpful details than most do. The summary clearly describes what Goodman’s company does. Yes, he shows pride, but not to the point of annoyance. The way he describes his team says a lot about the company culture and him. He includes information about hobbies, three universities, and articles he has written. If you are looking for talking points to open a conversation, they are here in abundance. In just a four-paragraph summary, you learn about Holmes’ personal life, accomplishments in his current role and expertise. His story communicates the kind of executive he is and reflects the culture of his company. His recommendations are pretty funny, giving you an excellent idea of the kind of person he appreciates having in his circles. Kerpen writes articles and gives speeches, both of which he backs up with links to articles, presentations and videos. As CEO of Likeable, he explains the company’s mission and explains what it does for clients. He also has more than 15 recommendations associated with his role and they come from people in a variety of roles: Clients, partners and employees. Kerpen follows more than 400 influencers, 50 companies and 50 groups. O’Neil’s profile has everything. But you wouldn’t expect less from someone who has been training others to use LinkedIn since 2006. He’s walking the talk. His profile is keyword-rich, and shows that he knows exactly what he’s talking about. Recommendations, media, groups and following are a-plenty. As a VC, Redford is involved in multiple companies at the same time, which means he has 4 current positions. He also lists 30 patents! He provides a brief description of the patent, the U.S. patent number, the year issued and a summary. He includes his email address and Twitter to show he’s accessible – you can tell he’s someone who believes in cutting to the chase. Reid’s headline caught my eye. In a few words, you understand what his company does, his role, and a bit about the way he sees the world. His summary also includes the phrase “also known as the loose cannon!” Admit it — that made you smile. Although Rettig’s summary reads more like a biography, it works. The description of his company is short and to the point: “Software, hardware, cloud services – it’s not your job to keep up with what makes the most sense for your business. That’s my job.” He has strong recommendations. He also belongs to a variety of LinkedIn groups: some in his field, some location-based, some partners and some organizations.